Cupcake Cutie can supply weddings and events with Chocolate Fountains for hire. Chocolate Fountains do not only look spectacular they smell and taste wonderful. With the finest Belgian chocolate, our chocolate fountains will ensure a flawless performance with the ultimate taste. We can supply in dark, milk or white chocolate. Or you can go to the ultimate limit, with a variety of different colours and tastes such as a pink strawberry flavoured chocolate. There are also many more exotic fruits and mouth watering dips to try. Anything you desire can be enjoyed with a chocolate fountain so please do not hesitiate to discuss your requirements. Chocolate Fountain hire is available to LONDON Bedfordshire, Hertfordshire, Oxfordshire, Northamptonshire, Birmingham, Surrey, Kent, Cambridgeshire, Buckinghamshire, Essex, Berkshire and the surrounding counties. Services available to these areas include - Candy Floss Machines, Popcorn Machines / Carts, Pick and Mix Hire, Candy Buffet Service, Chocolate Fountain hire and Worlds Largest Chocolate Fountain Hire. Cupcake Cutie can take you back to your school days with a wonderfully quaint Vintage Sweet Stall. These are great for weddings , parties , exhibitions , shows , charity events and special occasions. We can tailor the deorations to suit your theme. Our Vintage Sweet Stall will be presented beautifully with an array of nostalgic sweeties to put a smile on the faces of all of your guests. Our retro sweet stall will include 12 jars which adds up to around twenty kilograms of sweets. It will also include a Candy Floss Machine to serve to your guests. The Vintage Sweet Stall can be hired for 4 hours. We will provide everything required as well as an attendant to serve your guests. Tell us about your theme and we will create a magical vintage sweet stall to suit. We would love to discuss incorporating a vintage sweet stall into your event. Vintage sweet stall and candy floss machine hire is available to LONDON Bedfordshire, Hertfordshire, Oxfordshire, Northamptonshire, Birmingham, Surrey, Kent, Cambridgeshire, Buckinghamshire, Essex, Berkshire and the surrounding counties. Cupcake Cutie can provide popcorn carts for your event whether it be a school fete or a corporate event. Our Popcorn stands are very popular for weddings, barmitzvahs, childrens parties, film themed events, corporate presentations and exhibitions. All of our Popcorn Cart Machines stand around 5 feet high and are displayed on a vintage style cart. Table top Popcorn machines can be made available where this is more suitable. Our Popcorn Cart hire will include a 4 hour hire, an unlimited supply of popcorn for your guests, an operative to serve your guests and themed decoration if required. We will also provide a hustler tray in order for our operative to deliver the popcorn personally to your guests. Custom branded popcorn boxes can also be provided if required. Popcorn cart hire is available to LONDON Bedfordshire, Hertfordshire, Oxfordshire, Northamptonshire, Birmingham, Surrey, Kent, Cambridgeshire, Buckinghamshire, Essex, Berkshire and the surrounding counties. Cupcake Cutie can also supply Candyfloss Machines to weddings and events. Cupcake Cuties are able to provide weddings and events with the following , Please do not hesitate to contact us to discuss your event. Cupcake Cutie like to keep on the forefront of the cupcake and confectionary scene, so we have found this new and modern popular culture cupcake - The Red Velvet Cupcake. The sponge is a wonderful red colour throughout. 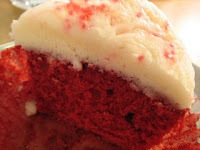 But why just stick to the Red Velvet - Lets go colour crazy . Cupcakes are not only chic and creative , they can also be fun and quirky. So if you are a budding home chef get the colour into your sponge this month. With cupcakes being the trend at the moment why not indulge in some alcoholic cupcakes. 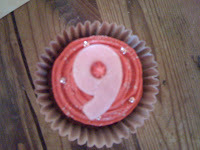 These are perfect for Hen Party Cupcakes , Girls nights out , Birthday Parties especially 18th birthdays. They can cater then too adults who are young at heart. Why not try some Baileys Cupcakes , Some Cocktail Cupcakes , Bacardi Cupcakes , Pina Colada Cupcakes , Ameretto Cupcakes etc , the list is endless. For adult parties Cupcake Cutie can infuse the tasty little ones with the alcohol of your choice - what ever your tipple it will be perfect in a cupcake. Cupcakes can be perfectly creative. 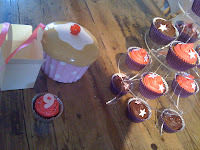 If it is your littles ones birthday why not offer a cupcake tier at their party instead of the usual birthday cakes. Cupcake Cutie can provide birthday cupcakes suitable for any age . We can also adapt colourings and themes depending on the special birthday boy or birthday girl and depending on the theme of your party. 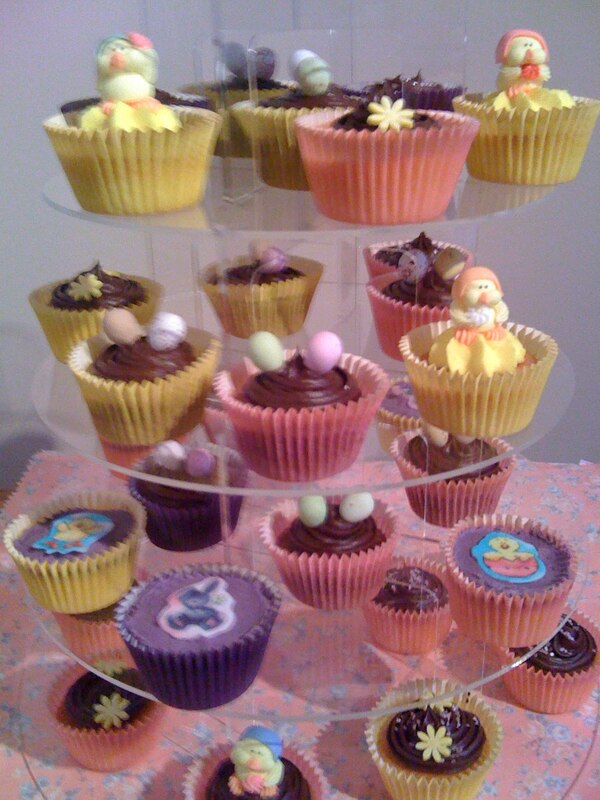 Cupcake Cutie based in Milton Keynes can provide cupcakes for easter to all areas of Bedfordshire , Hertfordshire , Buckinghamshire and Northamptonshire. We can also deliver further but a delivery fee may apply. Our Easter cupcakes are perfectly decorated with the spring time theme. We have a selection of decorative treats for our Easter cuties, which include decorative eggs, delicate flowers, little bunnies, cute chicks and tiny birds nests. Our Easter Cupcakes can be provided in easter boxes or presented on a tier depending on the quantity you required. 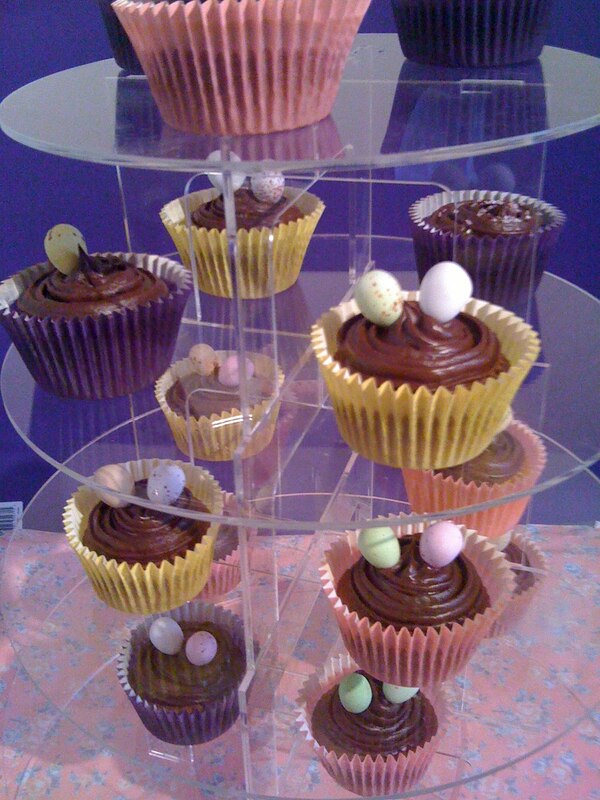 Its nearly Easter and we at Cupcake Cutie have been baking Easter Cupcakes in Milton Keynes . 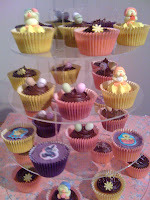 We can deliver our Easter Cupcakes to all areas in Buckinghamshire , Bedfordshire , Hertfordshire and Northamptonshire . We can also deliver to further locations but a delivery charge will apply. These Easter Cupcakes are themed as birds nest with mini eggs . Perfect for children and adults - after all everyone love chocolate. 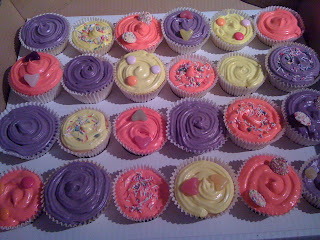 Cupcake Cuties offer a bespoke cupcake service. We love everything cupcake and love to be creative. We also understand that you would like the cupcakes to perfectly suit your wedding theme , party theme or event theme. For this reason we welcome all design and creativity after all you also love the diversity of a cupcake , hence your Cupcake Cutie find. We will start with a blank canvas (so to speak) and you can be as creative as you wish. Cupcake Cutie based in Milton Keynes can provide St Patricks Day cupcakes to get you into the irish festivities . 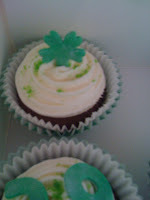 If you are celebrating March 17th this year then why not indulge in some St Patricks cupcakes. If you are not celebrating then why not offer a gift to your friends who are . Cupcake Cutie can provide bespoke wedding cupcakes for your big day. We can also provide favor boxes so that your guests can take them home with them. 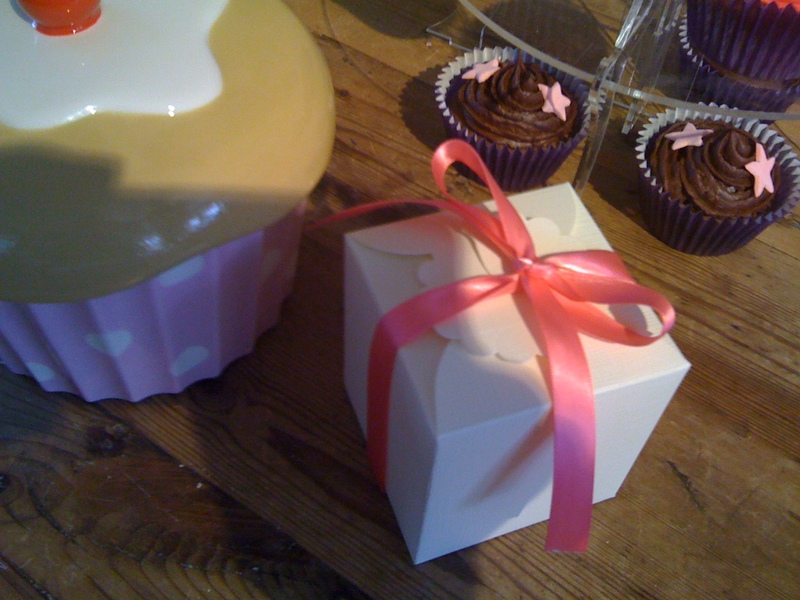 We can provide plain , coloured or patterned boxes. We can also personalise them which is an added touch to personalise your day and offer keepsakes for your guests to remember the day you were married. Simply contact us to discuss your wedding theme. Bespoke cupcakes for weddings , parties and events. Cupcake Cutie can provide bespoke cupcakes for your weddings , parties and events. They can be presented on a tier , gift boxed with a ribbon or put in individual favor boxes. Cupcake Cutie can provide party cupcakes with stars on . 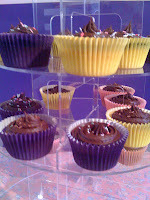 If you are celebrating a special day , having a party or a few friends round , these cupcakes are perfect for party food. They also look great on a tier. Colours can be tailored to suit your theme. Quantities can be chosen and delivery will be included. Cupcake Cutie can provide wedding cupcakes on a tier for your wedding in Milton Keynes. Whatever your theme , whatever your venue - we can create bespoke wedding cupcakes for you. Please call us on 07960749851 to discuss your theme. We at Cupcake Cutie provide bespoke cupcakes for all events. Without a doubt the chocolate cupcakes are the most popular. Simply treat your friends , family and guests to some chocolate cupcakes and they will certainly be impressed. For all chocoholics this is the dream cupcake. We can provide chocolate cupcakes of any quantity , size and delivery to all areas across the UK. Free delivery is a current special offer for areas in Bedfordshire, Buckinghamshire and some of Hertfordshire. Simply call us on 07960749851 to discuss. 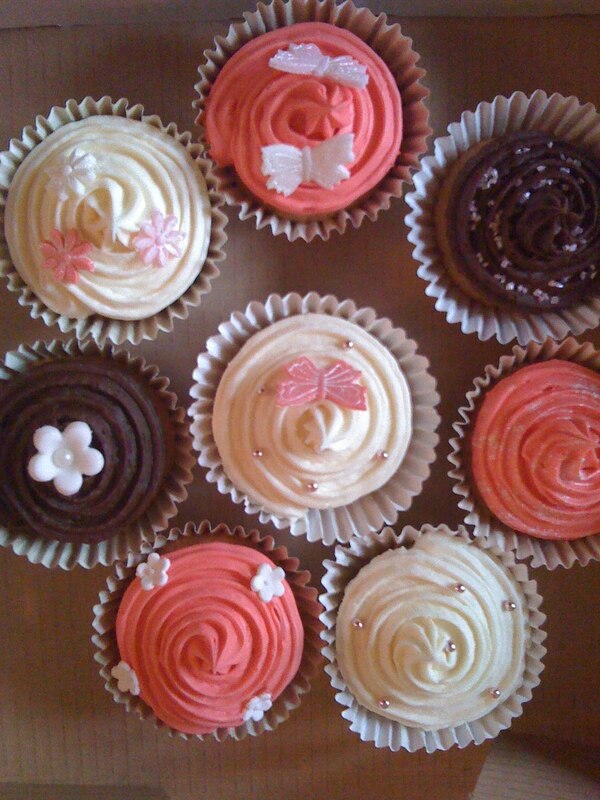 Please view the website : http://www.cupcakecutie.co.uk to see other selections. A cupcake party is a perfectly unique form of entertainment for their birthday celebrations. It is creative and so much fun. We will make your budding little chefs feel extremely special on their day and their friends will have lots of fun too!! 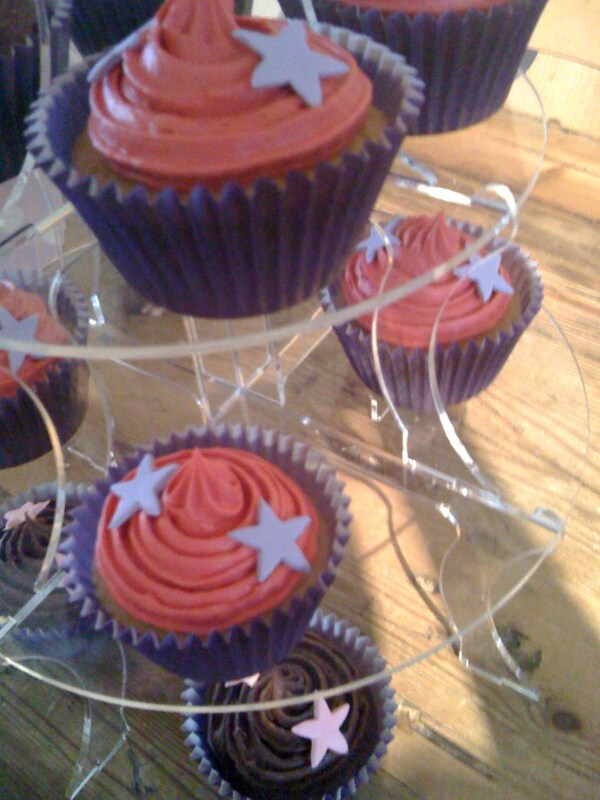 Our cupcake parties are always a great success, the children enjoy them and so do we!! We are self contained and will tidy up all of the mess before we leave. We will supply all of the necessary ingredients. We will supply all the fun a children’s party should include. We are available evenings and weekends and our team are fully trained to work with children. All team members are CRB checked. Certification can be provided if requested. Special Offer : An extra tray of 10 cupcakes will be provided as a party gift to you. 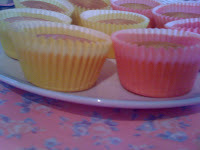 These will be vanilla flavoured and decorated with treats that the children and the adults will enjoy. Cupcake Cuties can provide mini cupcakes , adorable miniture sized cupcakes , even more delicate and petite. These are perfect for children or for parties requiring bitesize sweetners. 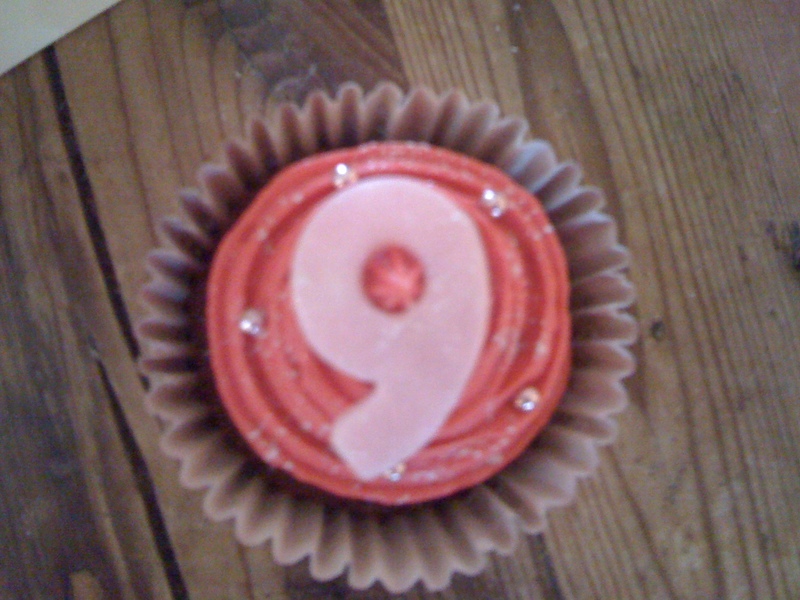 These cupcakes are only £1 each and can be provided in any bespoke style. They look perfect as all in the mini but also look great on a tier mixed with regular cupcakes. Please view the website : http://www.cupcakecutie.co.uk to see our ranges. Butterflies are by far the most popular design for cupcakes so far this year. Delicate edible butterflies can be provided in all colours. Why not opt for some edible glitter to add a little sparkle to your cupcake. 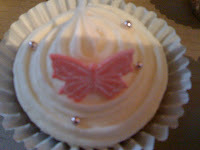 We can provide butterfly cupcakes to suit every occasion. 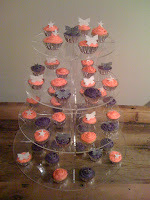 Butterflies are popular on a tier for a wedding or for a girly party. Please call us on 07960749851 if you wish to book a butterfly cupcake order. These cupcakes were made for an office party. Bespoke fun , colourful and playful cupcakes are available in a selection boxes of any size. 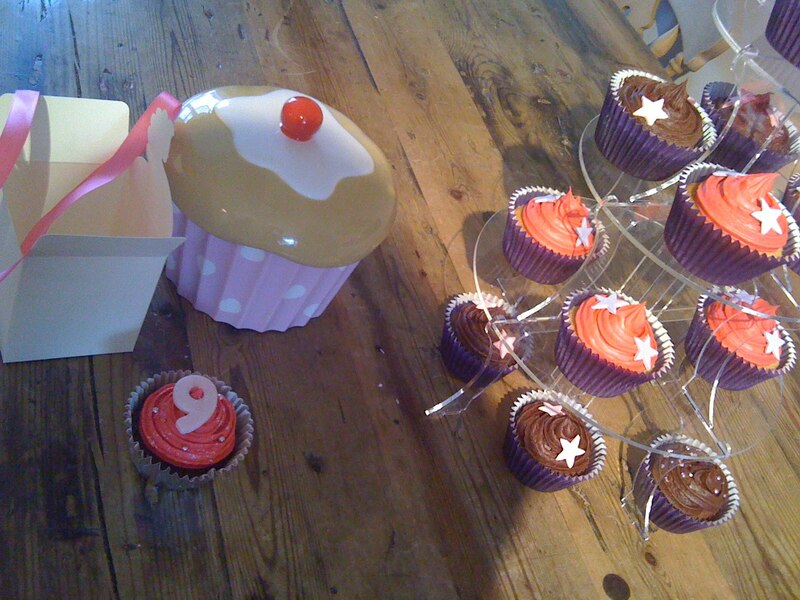 We can provide fun and playful , creatively modern , chic and sophisticated or novelty cupcakes. Our company caters to all designs and all budgets so please do not hesitate to contact us.